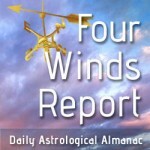 Planet Waves publishes the Four Winds daily almanac. We post it here each morning, but you can receive it the night before by email. If you would like to get on board, you may sign up at this link. Please share this newsletter with your friends. Today’s Birthdays: Voltaire (1694-1778), Rene Magritte (1898-1967), Dr. John (1940), Harold Ramis (1944-2014), Goldie Hawn (1945), Lonnie Jordan (1948), Bjork (1965), Alexander Siddig (1965), Carly Rae Jepsen (1985). This is an ancient tome from a previous incarnation of Planet Waves, but it still invokes the spirit of Sagittarius as well as ever. 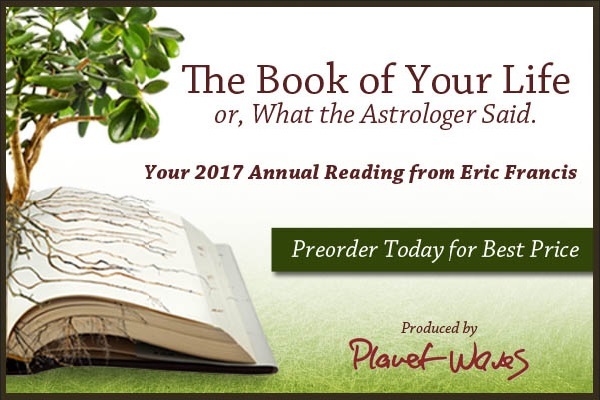 Eric describes various people born under the sign of the Archer, and draws intriguing conclusions about the nature of this engaging part of the Zodiac. Moon Phase: Moon is in Disseminating (waning gibbous) phase and enters Last Quarter phase today at 12:33 am PST / 3:33 am EST (08:33:08 UTC). Corresponding Full Moon is on Dec. 13 at 4:05 pm PST / 7:05 pm EST (00:05:29 12/14 UTC). Moon Sign: Moon is in Leo and enters Virgo today at 1:34 am PST / 4:34 am EST (09:33:58 UTC). Sun Degree: 30 Scorpio-1 Sagittarius. Moon enters Virgo at 1:34 am PST / 4:34 am EST (09:33:58 UTC). Sun enters Sagittarius at 1:22 pm PST / 4:22 pm EST (21:22:19 UTC). — Mercury opposite Asbolus at 6:25 am PST / 9:25 am EST (14:24:43 UTC). — Mercury square Psyche at 11:12 am PST / 2:12 pm EST (19:11:49 UTC). — Mercury conjunct Great Attractor at 2:57 pm PST / 5:57 pm EST (22:57:33 UTC). — Sun semi-square Jupiter at 7:57 pm PST / 10:57 pm EST (03:57:09 11/22 UTC). You have a nice opportunity to expand your sphere of friends, lovers and anything in between. Intimacy and affection are wonderful gifts, and you may enjoy yourself thoroughly while exploring these deep human connections, sharing in love and trust. Mercury pulls up to the Great Attractor today, suggesting the temptation to say things that are normally withheld may be greater than usual. This could be of use in stirring up a stagnant situation; but remember that things once uttered cannot then be unsaid. Consider carefully before making a determination.